How many files and documents do you have on your PC, or linked to cloud services with pointers sitting in File Manager that let you easily download the file(s) as and when you need them? Now ask how easy it is to find the files you’re looking for, especially when working on a project, looking for files of a specific type, or working with tagged photos or music. 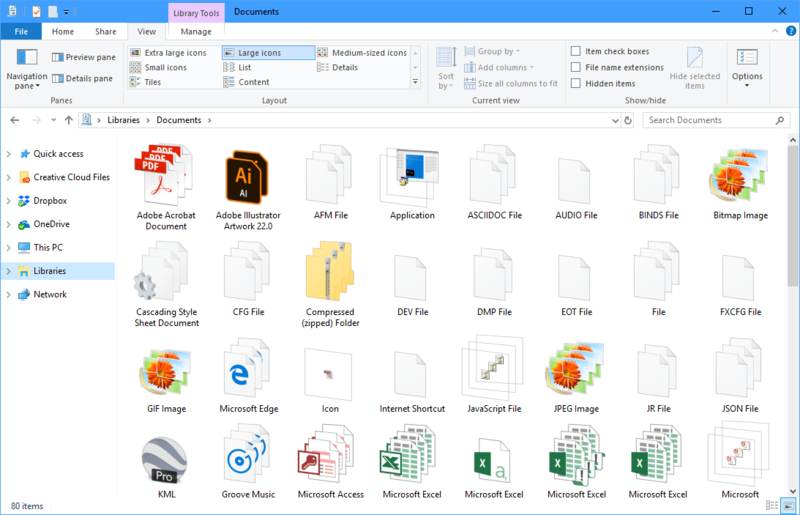 Fortunately Windows Explorer has a hidden function that can help you find, organise, and manage your ever-growing file collection easily and simply. 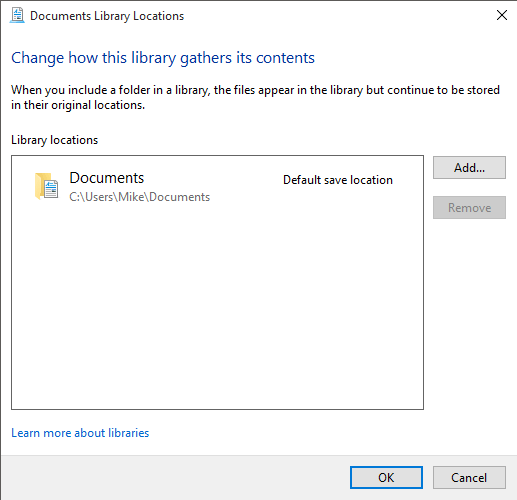 Libraries can be turned on by opening the View tab in File Explorer, clicking the Navigation page icon to the left of the ribbon, and then checking the Show libraries option. 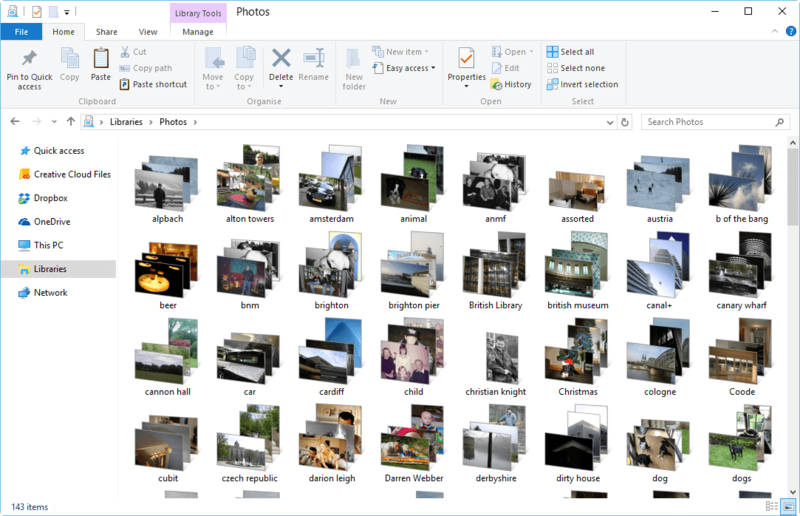 Once activated, Libraries will appear as an option on the left panel of File Explorer. Clicking it will display default libraries that each display the contents of your Documents, Music, Pictures, and other main user folders; but there’s much more you can use Libraries for. Right-click in any blank space and from the context menu that appears click New > Library to create a custom library. You will be asked to name the Library and then prompted to Include a folder. You can include any folder on your PC, or that has had a symbolic link created to it. Once your Library has been created there are useful and interesting ways in which you can view the contents, which are not otherwise available in File Explorer. Right-click in any empty space to open the context-menu and click Arrange by. This option allows you to stack files and documents in different ways, essentially creating containers for those documents. You can for example add descriptive tags to your pictures and photographs, and use the Arrange by function to make it easy to drill down to the photos you need by arranging them by where they were taken, or who they feature. Additionally you can arrange your files and documents by their author, when they were modified, or by their file type. Making it easy to access files on a project that were created or have been worked on most recently. Whenever you open a Library the contents are automatically updated, so you always see the most relevant and up to date view of your files and documents. Libraries are a great way to easily access, sort, and manage the files and documents on your PC.